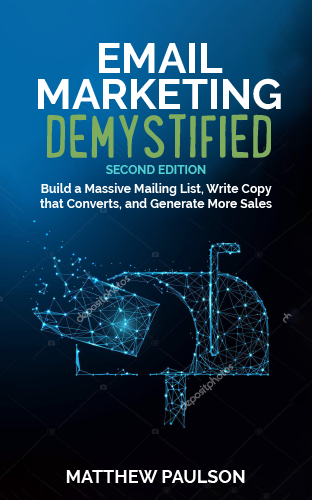 After your business is more established and you have begun to develop your own products and services, you can experiment with doing paid advertising to grow your email list and sell your products and services. You should not do paid advertising when you are first getting started, because you can lose a lot of money without realizing it if you don’t know your numbers. Once you have developed lead magnets that convert well, have created products that your current subscribers have purchased and enjoyed, have a good understanding of the life-time value of each of your customers and know the free-to-paid conversion rate of your email subscribers, you can begin to play with paid advertising. In niche content businesses, paid ads will typically be an offer for some kind of free report or other lead magnet. When a web user clicks through your ad, you will send them to a landing page that offers the user your lead magnet in exchange for their email address. After the user enters their email address and completes your sign-up form, you can show them an offer for one of your paid products on the page that they see after completing your sign-up form. You can also add them to an email auto-responder series that will send them a mix of content and promotions for your products and services. You should not send people that click on your ads directly to your homepage. Your ads should always send users to a specific page designed to get users to take a single action, such as signing up for your email list. There are hundreds of companies that offer companies the ability to create paid advertising campaigns. Every advertising network offers a unique combination of pricing, ad formats, targeting abilities and tracking abilities. Not all advertising networks are created equally and the performance of individual advertising campaigns will vary dramatically based on the ad networks you choose, the ad networks that you create and how you target your ads. Facebook Ads – Facebook Ads (www.facebook.com/ads) is probably the most powerful ad network for entrepreneurs that run content-driven businesses because of its advanced targeting abilities. Since Facebook knows a lot of information about its users, you can target users by their specific interests, geographic region, gender, age, relationship status, education, career and many other criteria. You can also place a Facebook retargeting pixel on your website and target other users that have similar interests and demographics to people that visit your website. Although Facebook has impressive targeting capabilities, it will take some time and experimentation to create a profitable ad campaign because you won’t immediately know which types of people will respond to your ad the best. Google AdWords – Google AdWords (www.google.com/adwords) is one of the largest advertising networks online. You can use Google AdWords to place ads on Google search results pages and on websites that run Google AdSense ads. The primary way to target relevant users through Google AdWords is based on keywords, but you can also place ads on specific websites, target people that have already been on your website (retargeting) and target people that meet specific demographic criteria. You can use either text-based ads or banner ads using Google AdWords. Google AdWords does tend to be more expensive than some other ad networks because of the large number of advertisers that compete for ad space. Twitter Ads – Twitter ads (ads.twitter.com) allow you to build followers on your Twitter account or have users click through to your website. You can show ads to users that follow specific Twitter accounts, which makes Twitter a very effective tool to reach your competitor’s audiences because you can target users that follow their Twitter account. Twitter also allows advertisers to attach lead generation cards to their tweets, which allow users to easily sign-up through your email list from directly within Twitter. Twitter’s ad network isn’t as large or advanced as Facebook Ads and Google AdWords, but it can be very useful in some circumstances. CJ Affiliate – CJ Affiliate (formerly Commission Junction) (www.cjaffiliate.com) is a large affiliate advertising network that facilities relationships between advertisers and publishers. The primary benefit of running an affiliate advertising program through a network like CJ Affiliate is that you only have to pay publishers when a user takes a specific action, like buying one of your products. Affiliate networks can have a higher barrier-to-entry than some advertising networks because affiliates may not be interested in promoting new affiliate offers that are untested and unproven. Other affiliate networks include Rakuten Affiliate Network (www.rakuten.com), ShareASale (www.shareasale.com), ClickBank.com (www.clickbank.com) and FlexOffers (www.flexoffers.com). Co-Registration Ad Networks – Co-registration ads allow you to build your email list by placing an offer on the “thank you” pages that other websites show after someone signs up for their email list. The primary benefit of co-registration ads is that you can collect email sign-ups for a flat fee and not have to worry about how effective your ad is at getting people to opt-in. You can expect to pay $1.00 to $4.00 per email sign-up that comes through a co-registration advertising network. There is no dominant player in this space, but large co-registration advertising networks include After Offers (www.afteroffers.com), CoregMedia (www.coregmedia.com), Investing Media Solutions (www.investingmediasolutions.com), Opt-Intelligence (www.optingelligence.com), and Tiburon Media (www.tiburonmedia.com). Other Ad Networks – There are dozens of other ad networks that you might consider testing. Some of them include Infolinks (www.infolinks.com), Media.Net (www.media.net), Revcontent (www.revcontent.com), Bidvertiser (www.bidvertiser.com), Chitika (www.chitika.com), Clicksor (www.clicksor.com), Vibrant Media (www.vibrantmedia.com), BlogAds (www.blogads.com), Amobee (formerly Kontera) (www.amobee.com) and CPX Interactive (www.cpxi.com). Unfortunately, there is no way to determine which advertising networks will work best for your business. 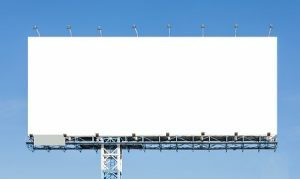 You can make some educated guesses about what advertising networks are most likely going to be able to reach your audience, but you ultimately will need to test different ad networks, targeting strategies and ad creatives to find ad campaigns that will allow you to profitably acquire customers. Retargeting is a form of paid advertising that involves showing ads to people that have already visited your website or are already on your email list. You may have visited a website in the past, only to see ads for that same website later that day on another website. This is retargeting in action. Retargeting involves placing a small snippet of code on your website, known as a retargeting pixel, that sets a tracking cookie in the browsers of people that visit your website. Retargeting pixels and their associated tracking cookies allow you to keep track of people that have visited your website and show ads to them specifically. Retargeting campaigns tend to be a very effective way to promote your email list, your products and your services because everyone that sees your ads have already been on your website at least once and are somewhat familiar with your brand. Retargeting campaigns also tend to be inexpensive because the group of people that have visited your website is relatively small compared to any other targeting criteria that you might use. Retargeting campaigns can be created using both Facebook Ads and Google Adwords, but separate tracking pixels are needed for each ad network. You can also upload your email list to both Facebook ads and Google Adwords to retarget your email subscribers.